From quilt blocks… to block prints! Recently I’ve gotten very wrapped up in quilting. That’s not a bad thing, but I’ve gotten pretty far from my sewing roots: apparel. It’s literally been years since I made myself any clothes. In the last few months I’ve lost some weight, so there’s no time like the present to jump into making some pieces for my summer wardrobe. 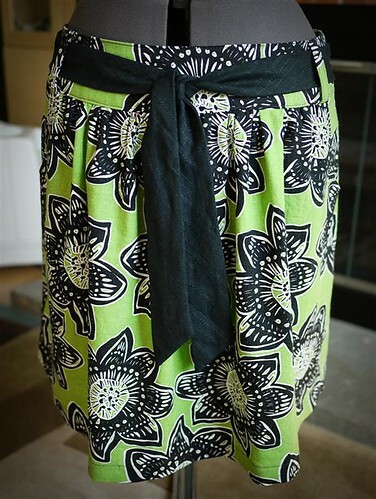 I eased back in with a simple project: a summery linen skirt. 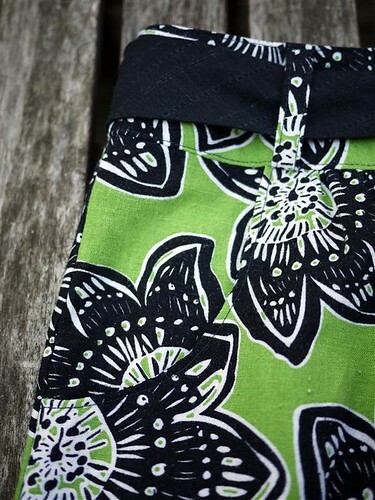 One of my favorite details — and the reason I chose this pattern — is that it has pockets. I can’t go anywhere without my Burt’s Bees lip balm, and I feel a little guilty treating my husband like a purse. Overall, it was a quick and easy pattern. My one complaint would be that it runs quite large. I chose a size based on my actual measurements, and it was way too big. Fairly easy fix — I trimmed 2.5″ off of the waistband and adjusted the skirt gathers accordingly. 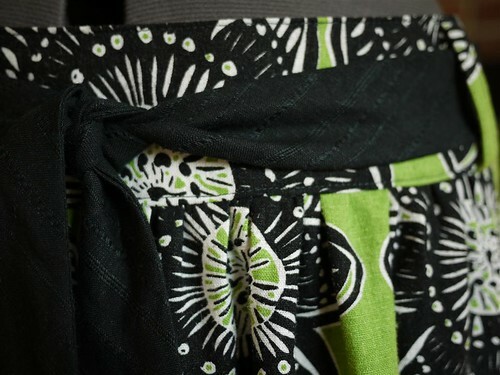 For the bias-cut sash, I used a subtle striped black linen. I had to chop 9″ off of the length to make it look like the picture on the pattern envelope. Without a trim, it hung to my knees. I think it was intended to be tied in a bow… ick. No modeled shots today… we’re having a nice lazy Sunday, so my dressform will have to do as a stand in for now. All in all, a great start back into the world of wearable sewing. Looking forward to sharing more clothes in the coming weeks!